Shopping Centre buying and selling transaction. The transaction involved financing secured by a mortgage that was granted by a financial entity. 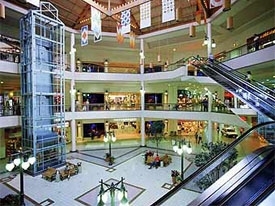 Our client, one of the most important financial entities in Spain, as part of the framework of a possible mortgage security financing transaction, wanted to obtain an independent opinion in relation to the content and regulation of the property aspects that formed the transaction (the Shopping Centre deed of sale). Once the legal documentation that was proposed by the contracting parties was reviewed, the transaction was successfully signed for our Client, who then granted the required financing to the vendor party. The quantity of the operation reached the sum of 21,150,000€ (taxes excluded), with a financing of up to 13,000,000€. The financial entity was able to obtain a second opinion, totally independent to that of the contracting parties, in relation to the manner of executing the purchase of the Shopping Centre.